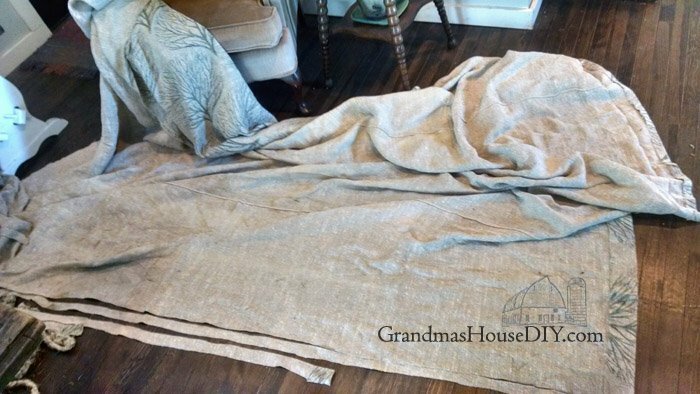 How to: braid your own large rag area rug! Did you hear about that insane winter storm we got hit by a couple of Fridays ago? Well, it meant I was basically stranded at home for three days straight and I thought, “I know, I’ll make that rug I’ve been planning on working on!” So, while the snow piled up outside, I grabbed two $5 blankets and a big drop cloth I had purchased just for this project and I started cutting them all into strips so I could braid them. And I cut and I cut and I cut. In the end this project translated into two things. 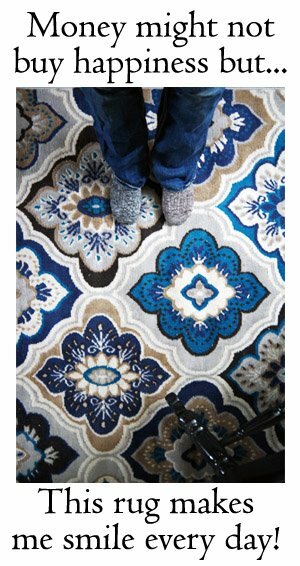 1: Rugs are worth every penny we pay for them and then some and 2: I never want to do anything like this again. I foolishly thought this project really wasn’t going to be all that big of a deal and, in the end, it would be worth the $100 or so dollars I saved doing it. Honestly, I’m on the fence on whether or not the 40+ hours I spent on this rug was actually worth it. Do I love the rug? Of course. Do I love that I made it? Of course. But this was A LOT of work! First I needed to cut the blankets I bought at our thrift store into strips. 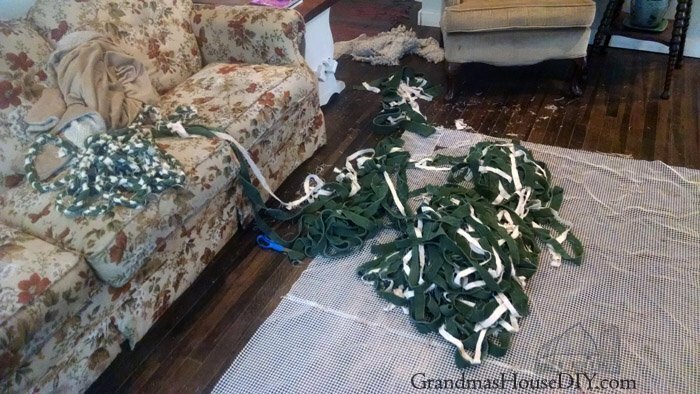 I started with a big green fuzzy blanket and a canvas drop cloth and then I braided them all together. Using my hot glue gun (and a blanket under everything to protect our floors) I started gluing my big braid down. 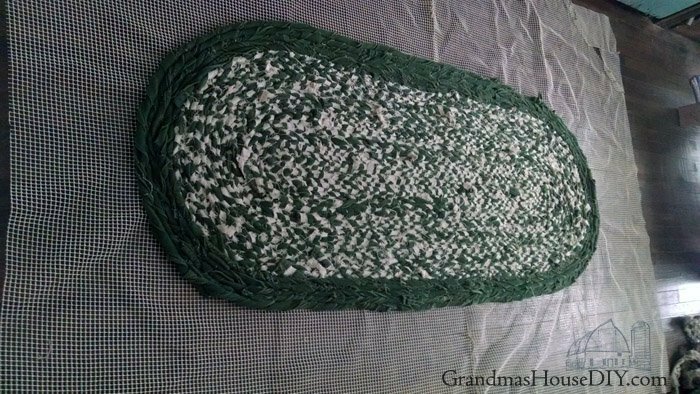 (This was a tip I saw online, instead of having to braid the braids together, just glue it to a rubber rug mat and save yourself some time…) I ran out of drop cloths so then I just braided the green together until I ran out of that too and viola, I had half my rug done. By the time day 3 came around my hands were absolutely killing me but I was so close to completion that I just kept on gluing. It was a good thing the storm broke or I wouldn’t have been able to go to town to buy more glue sticks! Admittedly, this is one of those projects where the end result was not exactly enough to make all of the labor worth it right away lol This was a huge undertaking and there are MANY lessons I’m taking away from it. 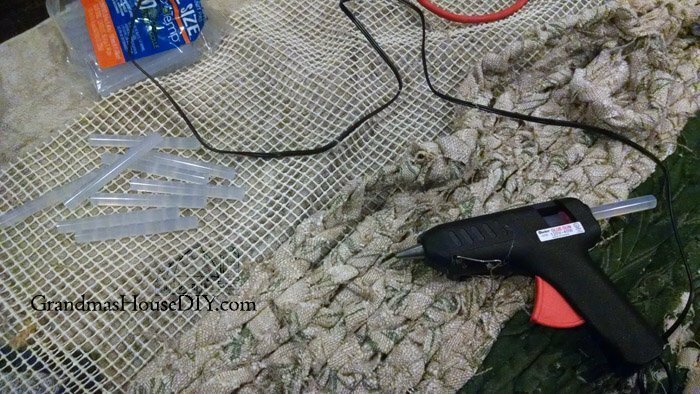 The glue gun was a good idea and I think it did save me some time HOWEVER, I would never attempt to glue fabric like this to a rug mat again, it just didn’t have anything to really stick to. 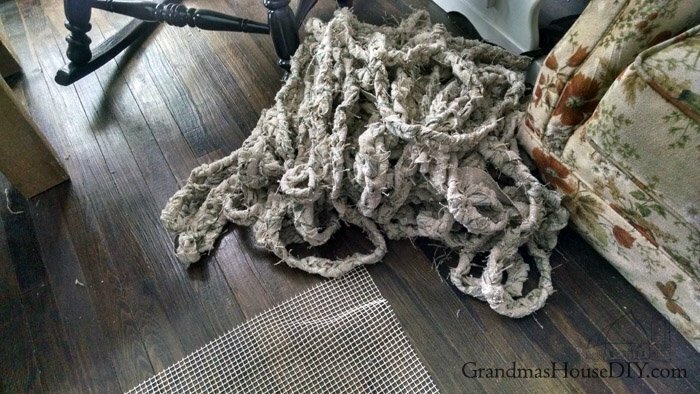 If I ever did this again I would glue the braids down to a solid piece of fabric (probably drop cloth) cut to size and then just throw the rubber rug mat under it, that would have saved me quite a bit of grief. Right now I will need to flip the rug over and glue it better down to the mat, I also plan on covering all of the fabric with poly acrylic so its more durable. I would say, in the end, this project was worth it and I do love my rug but it will be a long time before I ever do anything this big again lol! Penny, what a great idea! I just purchased a can of it on Amazon! I didn’t know liquid rubber existed lol, thank you!! OH MY GOD!!! Tarah It is amazing It is gorgeous and I cannot tell you how happy I am that a week before you posted this I bought a rag rug braided for my living room. Ha! And when I saw yours I thought …damn! I should have done that. BUT NOW that I read the WORK involved.. I am go glad. plus what I am NOT at all crafty and have no idea how to work a glue gun (next project: learn to use a glue gun) but THANK you very much I love your website. It is the BEST! Great job! Can you wash it like that or just spot treat? Just spot treat 🙂 I plan on sealing it though so that should really help and I don’t have a washer big enough for it anyway lol Thanks! Beautiful rug!!! I was wondering how wide you cut the rag strips. Your rug looks just beautiful on your lovely wooden floor, Tarah. You are a hard-working DIY/crafter, that’s for sure–nice work 🙂 Thanks for linking up your posts with us at Vintage Charm! The rug looks amazing but I can understand why you might question the cost-benefit analysis. You certainly made good use of a snow storm! You make that look so easy!! Thanks for sharing on the Pleasures of the NW’s DIY Party! 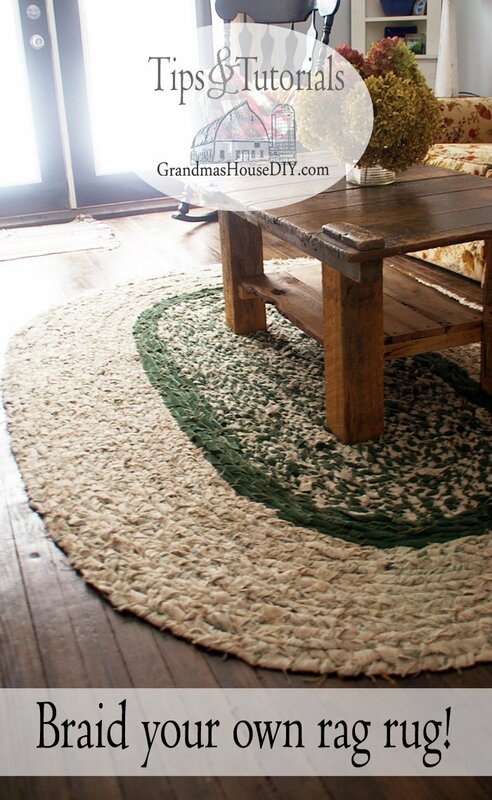 It sounds like a lot of hard work went into making this rug but looks like it was worth it. It’s beautiful!! Hey Keri, it was definitely worth it! I have made a small one, and they area lot of work! Yours turned out beautifully!! Thanks for sharing with SYC. So glad I read your post! 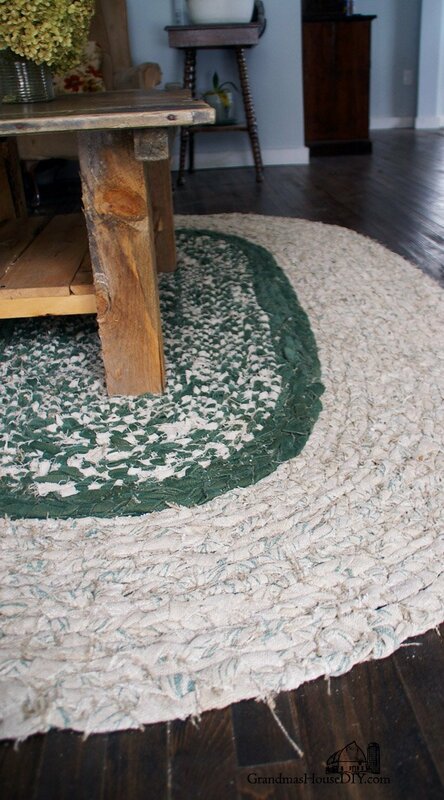 I’d been thinking about making a rag rug of some kind, but wasn’t sure if it was worth the effort. 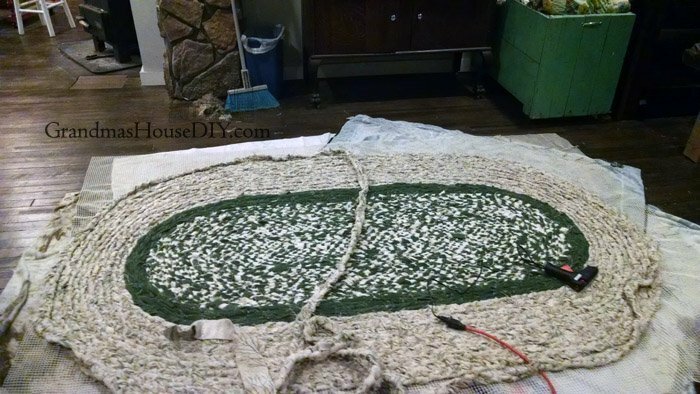 Since I only get 1.5 to 2 hours at a time to get ANYTHING done these days, I might go insane trying to make a large rag rug like that. 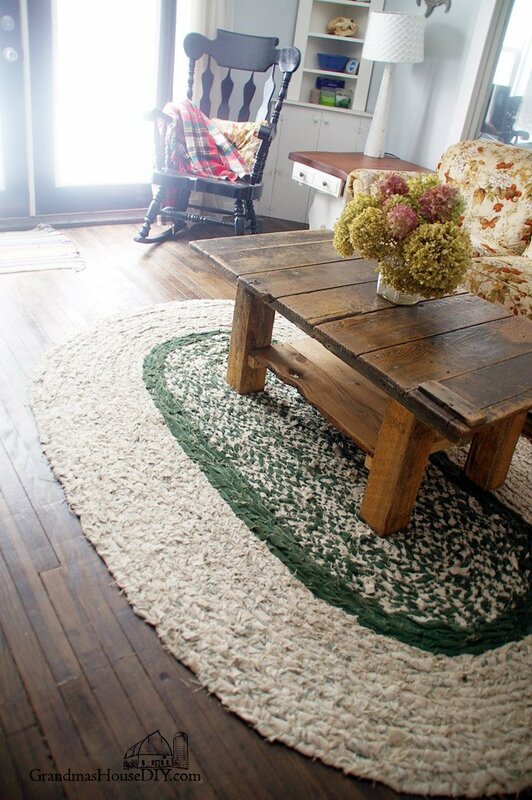 However, your rug looks spectacular, and really makes that gorgeous coffee table pop! Thanks again for joining us at the #happynowlinkup! Wow! That’s not easy but looks fantastic. Oh Sue if you make one definitely send me a pic of it – I would LOVE to see it! But glue it to a solid piece of fabric or something instead of a mat like I did – it will hold way better then. I still need to go back and add more glue to mine because it is really hard to get it to stick to the mat. Thank you Lisa it really was a TON of work, but we’re happy with it now! Wow! 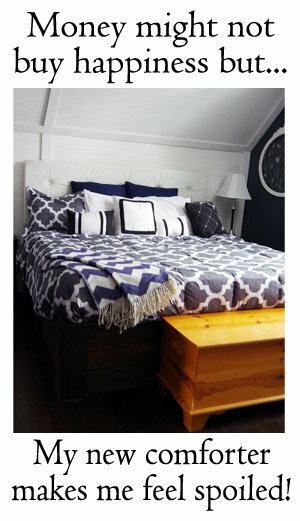 I’m in love with this rug. I would have never known that this is a DIY project! Awesome. Thanks a lot for joining us at the Family Joy Blog link up party! 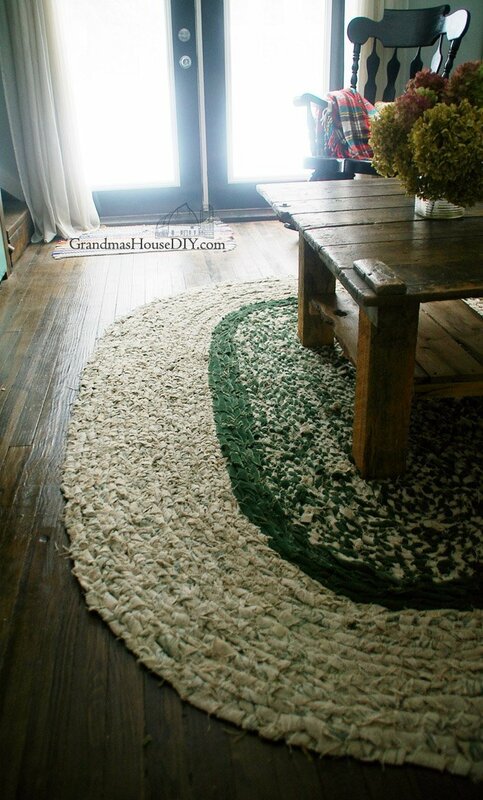 I love how your braided rug turned out. Thanks for sharing at the Inspiration Spotlight party. Pinned & shared. 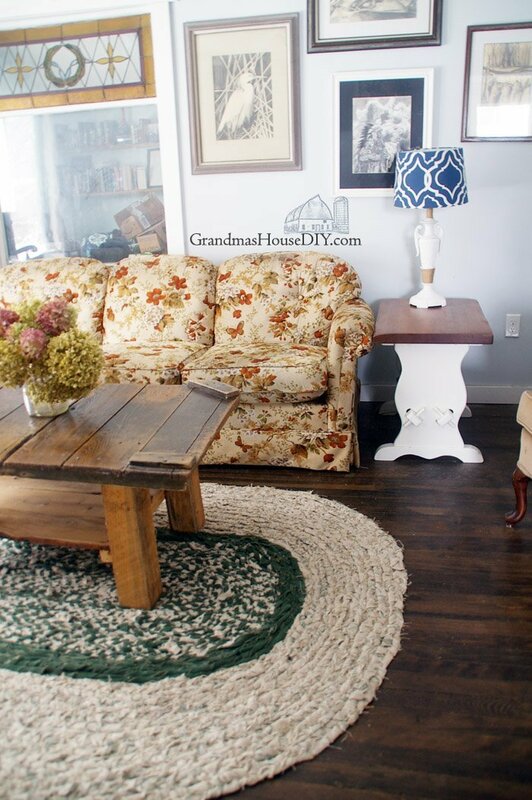 I love that rug! How is it holding up since you made it? It’s really nice in those colors, and fits the room in the pictures very well. Found my way here from Clever Chicks Blog Hop. Thank you Elizabeth! So far it’s been really holding up pretty well, I did add a few stitches to add stability in a couple places where it’s getting the most traffic. It does soumd like a lot of hard work, but man! 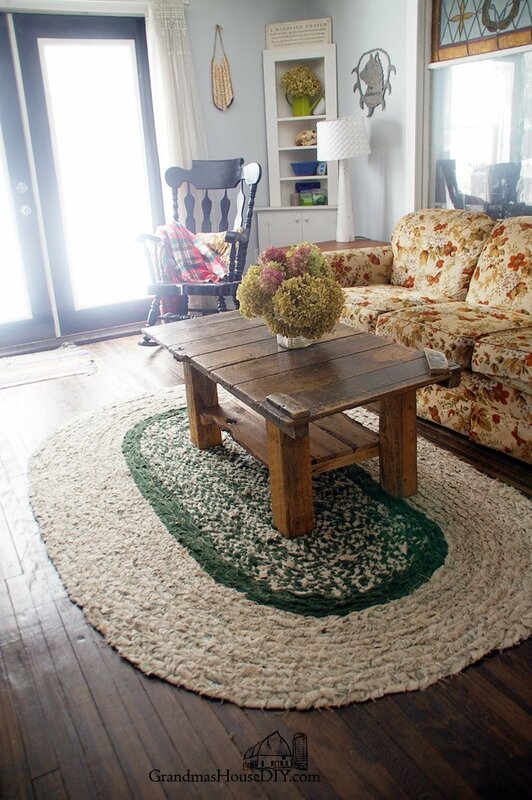 That rug looks amazing!! Wow! Just wow! You did this big rug yourself?! Your hands must be in pain after so much braiding. I think it was worth it, because you have a statement piece in your livingroom, an unique piece of DIY art. Nice when it is finished, but I felt tired reading all the effort that you put into this lovely project. 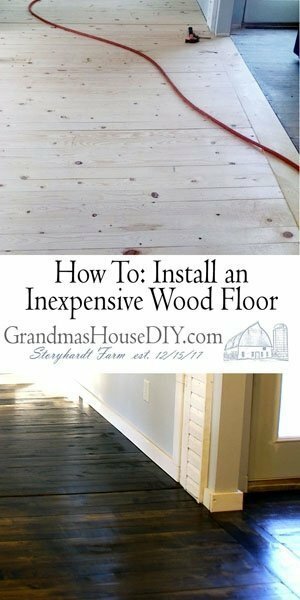 Your pics of it in place on the floor look great. A job well done.